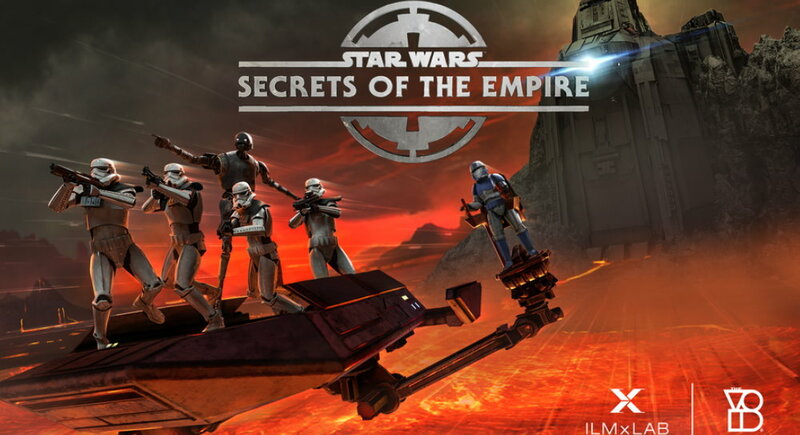 The VOID, creator of multi-sensory location-based experiences, and ILMxLAB, have announced that they will continue to work together following the success of Star Wars: Secrets of the Empire. They have jointly announced a new slate of five original Disney IP hyper-reality experiences, with the first two revealed today. The success of Star Wars™: Secrets of the Empire has made it clear there is a high demand for hyper-reality experiences set within beloved Disney universes. As a result, ILMxLAB has been named as the exclusive producer for the Marvel Studios and Walt Disney Animation Studios hyper-reality experiences and three more Disney titles to follow, in collaboration with The VOID. “At ILMxLAB, we are truly excited for fans to ‘Step Inside Our Stories’ by extending our award-winning creative collaboration with The VOID across The Walt Disney Company. Together, we will soon invite guests into other beloved Disney franchises where they can explore rich worlds, engage with compelling characters, embark upon heart-pounding adventures and indulge the senses—experiencing the magic as never before,” said Vicki Dobbs Beck, ILMxLAB executive in charge. Additional experience details including specific release dates, locations, trailers and ticket availability will be announced at a later date. Tickets for Star Wars: Secrets of the Empire are available at www.thevoid.com. Ralph Breaks the Internet is in theatres Nov. 21, 2018.